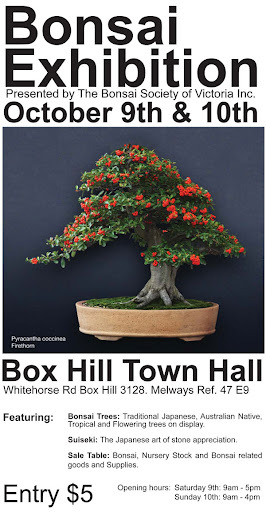 It’s getting close to that time again, Show time! 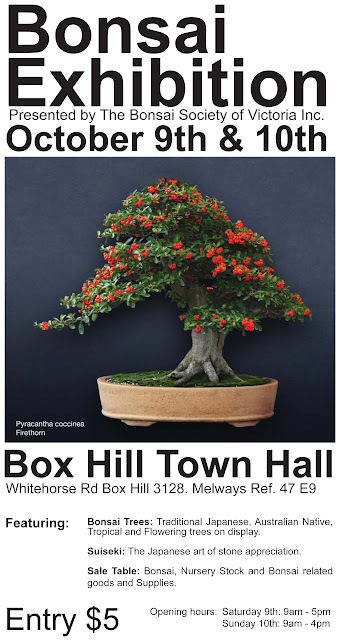 I encourage every one to come down to the Box Hill Town Hall (White horse Rd, Box Hill) on the 9th and 10th of October to see a fantastic display of show quality bonsai, make use of the great collection of sales materials (plants, pots, books and other bonsai related items) and meet some of the friendly club members. Posted on August 20, 2010 October 5, 2016 Author BSVCategories BSV News & BlogLeave a comment on October Show.